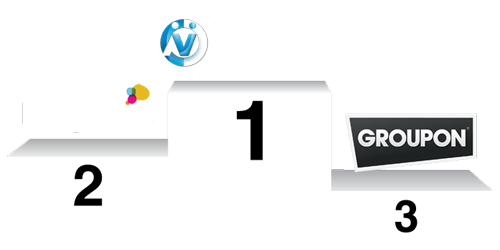 The GAME by Ronaldo utilized Vionic’s Deal Maker Pro to join in on the World Cup festivities by engaging with Facebook fanatics to actively increase likes. "The GAME by Ronaldo utilized Vionic’s Deal Maker Pro to join in on the World Cup festivities by engaging with Facebook fanatics to actively increase likes." "It’s user-friendly and keeps my fans interested in finding out the latests deals on my Facebook Page." "Having partnered up with Vionic, we’ve seen an approximate 30% increase in the number of our Facebook fans!" Applewood Kia pinned two cities against each other. OfficeMax brought together a nation with an iPad. Whitby Toyota Scion used eggs for $500 worth of gas. California Yoga Company aimed to help students explore their limits. Pure Barre generated $22,000 in sales in just 62 days. Donna's Dolphins generated $9,100 in sales in just 30 days. The Bar Method generated $2,950 in sales in just 48 hours. Model and DJ, Victoria Lanz, was the talk of the town. Vionic’s Deal Maker Pro helped Kiwilimon gain over 3,000 new fans! Mexico’s premier pet supplies e-tailer generated $22,455 MXN on Facebook in just 2 weeks! Petsy found a fun way to generate qualified leads and have brand presence on Facebook. The Game joined in on the World Cup festivities by engaging with Facebook fanatics. Hunt, a modeling and advertising agency based in Mexico, turned heads with their Vionic Deal Maker Pro photo contest. Gatsby Nails utilized Vionic’s Deal Maker Pro to gain leads by engaging with Facebook fans and promoting their business. When GoGym wanted to grow their business on Facebook, they turned to Vionic for a power lift! Meet Brian, proud owner of the California Yoga Company. He was surprised to discover how much more profit he was getting with Vionic Deal Maker in comparison to other daily deal companies. Need to get rid of inventory? Preparing for the new season? We’ve got you covered! Read below for some sample small business situations that could help you earn more revenue. Try scheduling a sales campaign for the upcoming holiday or hold a flash sale right after to get rid of extra stock. All your online business marketing needs can be satisfied with Deal Maker. "I always have a fully booked schedule because of Deal Maker. I offer special discounts on exclusive deals that get picked up instantly." Solution: Use Deal Maker to create a discounted offer exclusive to new clients – limit 10. Results: A fully scheduled calendar with 10 new prepaid clients. Deal Maker lets you set up a deal in 6 minutes and gives you immediate access to your revenue. "I make sure to always have my restaurant’s private room full of new and interested food enthusiasts, otherwise known as ‘foodies’." Solution: Offer a fan-only deal on Deal Maker for a unique dining experience each month. Results: A growing and returning monthly fan-base that increases brand awareness amongst the community. Deal Maker easily creates a deal for you to put you on the map and increase your local fan-base. "Cause awareness is very important to me and I want to make sure to give back to the community. With Deal Maker, I can set up a donation fund within minutes." Solution: Create a "Coffee Fights Cancer" weekend that raises funds for research with Deal Maker’s Donation campaign. Results: Generate funds and show support for a good cause to improve brand recognition. Deal Maker lets you set up your donation campaign without any of that messy paperwork. Disclaimer: The following small business situations are not actual testimonials, but are based off of hypothetical daily business problems that owners face when trying to generate revenue. Deal Maker serves as a social media marketing platform for business owners to use in order to generate more likes, clientele and ultimately, sales.